With a total population was approximately 87 million, Vietnamcurrently is the 3rd most populous country inSoutheast Asia. Child growth, nutritional anemia and intestinal parasite infection in school children (rural ofVietnam), iodine and vitamin A deficiency, micronutrient malnutrition-especially among young children and women of child-bearing age and so on? which are public health nutrition problems inVietnam. Nowadays,Vietnam is undergoing a nutrition transition, the nutritional status ofVietnam?s population has improved significantly and the food security situation is better than ever, severe child malnutrition has been reduced substantially. Changes of the Vietnamese diet include more animal food products, increasing of fat/oil and snack foods intake. Consequently, nutritional problems inVietnam now include not only malnutrition (rural population) but also overweight/obesity, metabolic syndrome and other chronic diseases related to nutrition and lifestyles (urban population). Much effort has gone into improving nutritional status. A food based dietary guideline forVietnamwas developed and approved by Ministry of Health in 2007. The National Nutrition Strategy (NNS) 2001-2010 was approved. The Master Plan of Nutrition for the period 2003-2007 has been developed to provide a basis for implementation such as breast-feeding policies, monitoring and surveillance of nutritional status and intervention programs are undertaken to improve birth weight, nutrition in pregnancy, infant-feeding practices, child growth, nutritional anaemia, Iron deficiency anemia and Iron-folic acid supplementation of women of reproductive age, iodine deficiency disorders, vitamin A deficiency and obesity... The Recommended Dietary Allowances (RDA) for the Vietnamese population was established. This is an important science-based tool for evaluation of nutrition adequacy, for teaching, and for scientific communications withinVietnam. 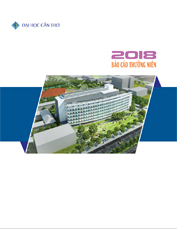 Vietnam RDA and its conversion to food-based dietary guidelines will facilitate education to the public, as well as the policy implementation of programs for prevention of chronic diseases, both risk of over and lack of nutrition. Nutrition improvement project was implemented such as Household gardens, Nutrition education, Monitoring and evaluation. Food fortification also developed inVietnam.